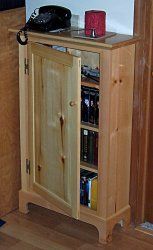 Whether you want a woodworking project to challenge your skills or just need a simple device to hold your DVD collection, you've come to the right place. 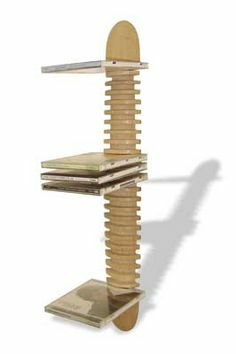 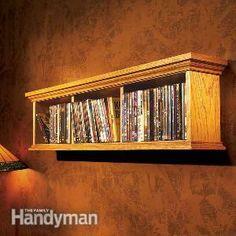 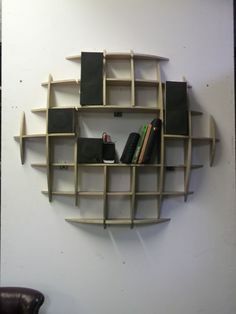 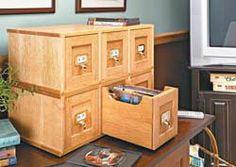 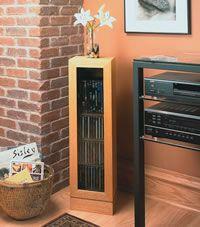 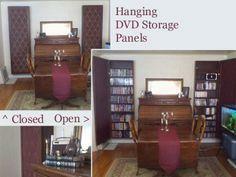 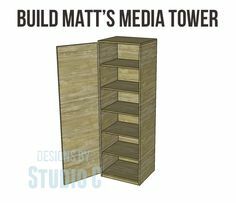 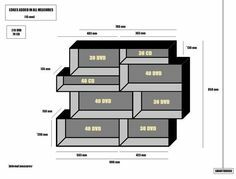 Browse through this collection of DVD rack plans to find a design that's right for you and your skills. 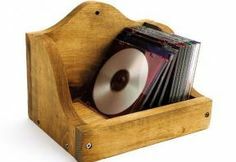 Simple designs that only require a few tools, a couple pieces of wood and a few nails will have your collection of DVDs organized in no time. 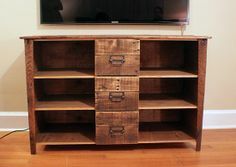 If you're looking for a project, you'll also find lovely furniture pieces that will make a statement in your family room or den. 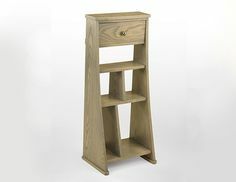 Desktop, wall-mounted and freestanding designs give you loads of choices, so take your time to find a rack that's the perfect fit for your room. 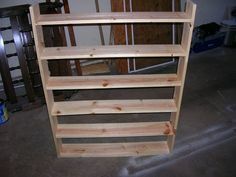 Complete plans and instructions make life easier and you can complete your project with your favorite stain or paint. 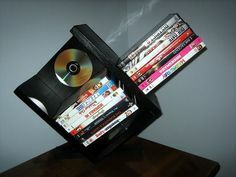 DVD's are small, but they tend to accumulate everywhere. 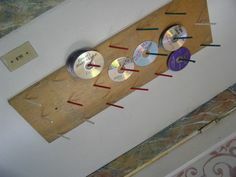 Build a safe, secure home for these little discs and keep them corralled in one, easy-to-find place. 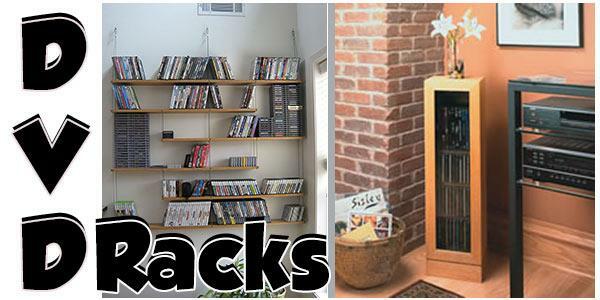 Simple bare-wood racks or fancy furniture quality cabinets are just two of the many styles you'll find when you browse through this great collection of DVD rack, cabinet and shelf plans. 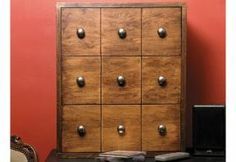 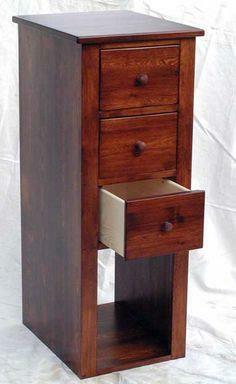 Find your style and get started with a fun woodworking project that's as useful as it is attractive. 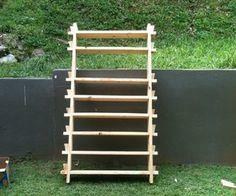 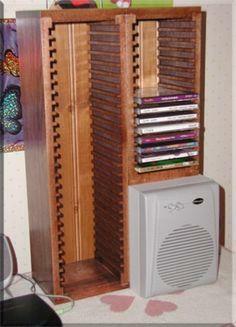 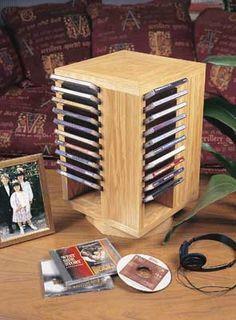 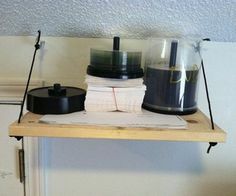 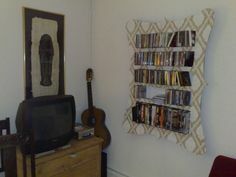 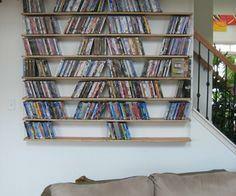 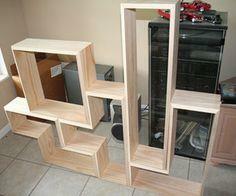 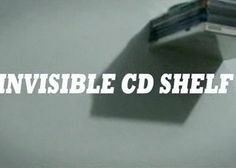 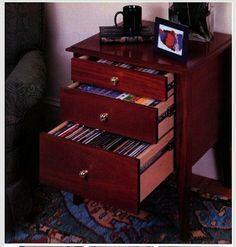 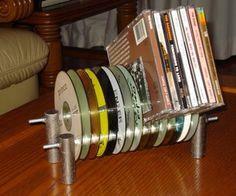 How to Make A CD Rack!